The Inspector General for the Department of the Interior announced Monday that it will investigate newly confirmed Secretary David Bernhardt’s potential conflicts of interests and whether he acted inappropriately by blocking an internal scientific report, which found that a commonly used pesticide harmed a wide range of endangered species. “We are continuing to gather pertinent information about the complaints and have opened an investigation to address them,” Deputy Inspector General Mary Kendall said in a letter sent to eight Democratic senators who demanded information relating to the scientific study. Lawmakers demanded an investigation after The New York Times reported that then-Acting Secretary Bernhardt intervened to block a report that found that chlorpyrifos and other pesticides harmed more than 1,200 species listed for protection under the Endangered Species Act. Wyden initially called for the investigation and was joined by Senator Mazie Hirono, D-Hawaiiand other Democratic senators, including Dianne Feinstein, D-Calif., and Richard Blumenthal, D-Conn.
Department of Interior spokeswoman Faith Vander Voort said in a statement that Bernhardt did nothing wrong. “Secretary Bernhardt is in complete compliance with his ethics agreement and all applicable laws, rules and regulations,” she said. 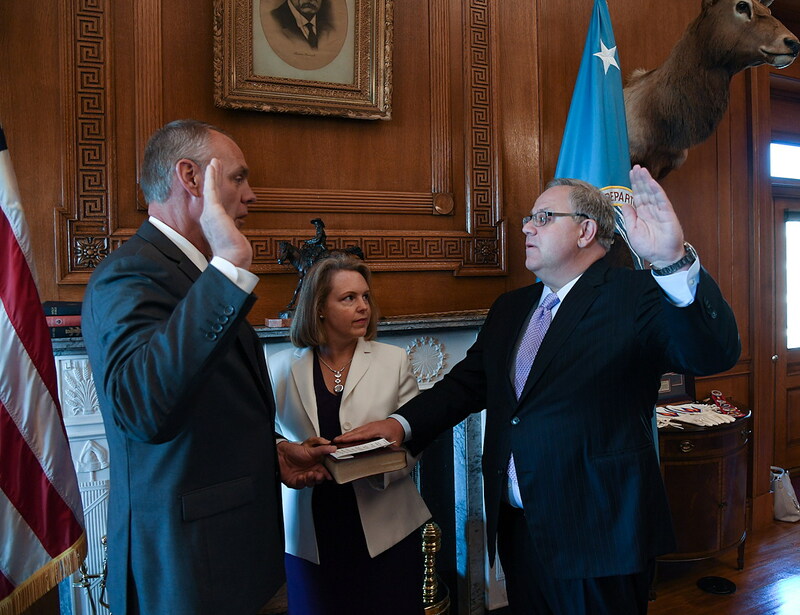 Bernhardt has remained a controversial figure since taking over for Ryan Zinke, who resigned at the beginning of the year after being dogged by several ethics complaints. Bernhardt is a former energy industry lobbyist, and critics claim he is unsuited to the position due to his former ties to industry. “I opposed his nomination as Deputy Secretary of the Interior because of his numerous conflicts of interest as a former lobbyist,” Feinstein said on April 11, when Bernhardt was confirmed as Secretary by a vote of 56-41. The House Natural Resources Committee, headed by Congressman Raul Grijalva, D-Ariz., has announced that it plans to call Bernhardt to testify on the scientific report and any possible suppression on May 15. According to documents obtained by the Center for Biological Diversity, Bernhardt discovered the U.S. Fish and Wildlife Service was conducting a scientific evaluation into whether chlorpyrifos harmed wildlife, but he prevented its publication and demanded an alteration to the report methodology. The scientific analysis, prepared by career scientists at the Fish and Wildlife Service, concluded that chlorpyrifos and another pesticide called malathion were toxic to a bevy of endangered species and recommended tighter restrictions on the use of the chemicals. The Center claims that top officials at the Department of Interior, which oversees the Fish and Wildlife Service, intervened before the report was published and asked the scientists to change the standards by which harmful impacts were assessed. Environmentalists say the narrower standards conformed with those requested by pesticide manufacturers and their lobbyists.